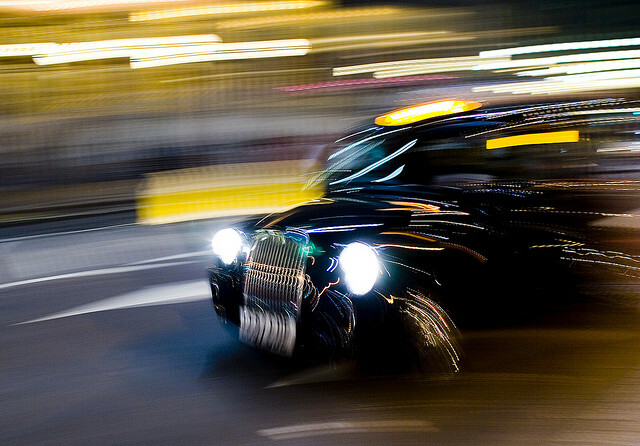 Researchers in the U.K. investigate how to effectively encourage fuel-efficient cab driving. Photo by Fabrizio Lonzini. “Inside the Mind of a Cabbie,” a newly released interim report by Shell in the UK in partnership with the Royal Society of the Arts, investigates how to effectively encourage fuel-friendly cab driving. The report is based on a study conducted in July that challenged cab drivers in 10 U.K. regions to drive as fuel-efficiently as possible. The findings of the report highlight that a great number of cab drivers would welcome more fuel-efficient vehicles, that they generally feel disconnected with the issue of climate change, and that, with the current fare calculation system, many doubt it is financially beneficial to take fuel-efficient, more direct routes. The full interim report, including suggested methods on encouraging fuel-efficient driving, can be found here. The perceived walkability of neighborhoods determines what proportion of its residents are avid walkers, reports a new study from America Walks. In a recent survey of 7,000 “avid walkers,” it was found that within each population density range (low, medium and high), the proportion of frequent walkers increased with positive neighborhood walkability perceptions. Other notable findings from the survey include that more children walk to school if their parents are frequent walkers, and that infrequent walkers report they would walk more if their area’s physical elements were more conducive to doing so. The study was conducted by Professors William Milczarski and Peter Tuckel of Hunter College in New York City. The intercity transportation industry of curbside buses is experiencing bounding growth and predominately serves young riders, according to a new survey from DePaul University. The survey of more than 1,000 bus riders (mostly from the two largest curbside bus companies, BoltBus and Megabus) revealed that curbside buses are the fastest growing mode of intercity transportation in the United States, with an estimated 400 daily departures—now roughly one-third the size of the Greyhound national bus network. Seventy-two percent of curbside bus riders are under the age of 35, indicates the survey, and the most commonly cited reasons for curbside bus travel are leisure and personal reasons. These comparatively inexpensive intercity bus services might very well change the face of intercity transportation in the country. A quarter of those surveyed said they choose buses over the next-attractive rail option, and more than one in five of respondents said they wouldn’t be traveling if it weren’t for curbside bus services. Last week U.S. President Barack Obama announced a new national fuel economy standard of 54.5 miles per gallon to be achieved by 2025. In the wake of this announcement, the American Road & Transportation Builders Association (ARTBA) calculated that such a change would result in $65 billion in lost revenue for highway and transit projects. Per gallon gasoline and diesel federal taxes are directed to the federal Highway Trust Fund (HTF) and are the primary source of funding for road, bridge and transit projects in the U.S.
Swiss economists Bruno Frey and Alois Stutzer explore the cost-benefit analysis surrounding individuals’ commuting choices in a new report, “Stress That Doesn’t Pay: The Commuting Paradox.” The economists explain that, in theory, the choices we make concerning housing, job selection and their relation to commuting are a matter of economics. If we choose a job that requires a one-hour car commute, we must earn 40 percent more money to maintain a sense of well-being equal to that of someone who commutes to work by bike or walking. However, their study revealed a paradox in this theory. “In a direct test of this strong notion of equilibrium, we find that people with longer commuting time report systematically lower subjective well-being,” the report states. The economists investigate possible explanations for this paradox of commute-related lack of wellness in the report.